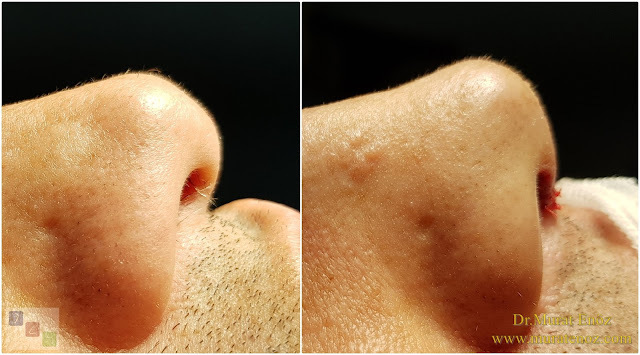 What should be the ideal nose tip shape? The nose which is considered to be "ideal" is a nose that is compatible with other suitable facial features. Our perception of beauty helps identify what constitutes an ideal shape for a female or male nose. For this, there is always an artistic element, so the ideal cannot always be adjusted to simple lines and numbers alone. However, artists and aesthetic surgeons can design some instructions and proportions by examining the facial beauty and faces that represent the ideal of aesthetics. Artists have been working on beauty and aesthetic proportions for a long time and facial cosmetic surgeons need to understand the beauty in the same way to make changes that will beautify their beauty. • The nasolabial angle (angle between the "columella" and the upper lip). Between the nostrils is called the nasolabial angle. This angle is less in men. As the nasolabial angle increases, the nose is more elevated and excessively elevated may cause a "pig nose" shape to be seen in the nostrils. In the literature, a range from 90 to 120 degrees is optionally indicated for the nasolabial angle. 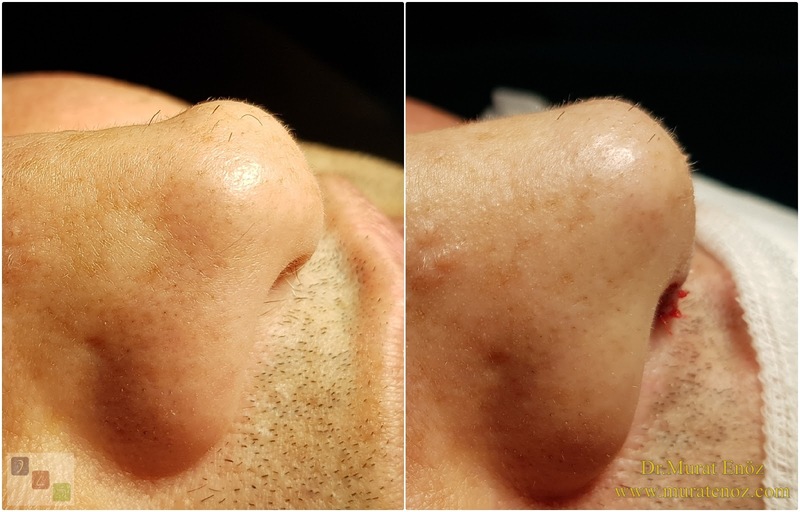 As the nasolabial angle decreases, the tip of the nose appears lower and longer than the front, as seen in the photo. At the same time, narrowing of the air channels in the nose wings occurs. • "Nose projection", or "nasal tip projection" represents the distance between the nasal tip and the face. Nasal tip projection should be evaluated not only by the nasal dorsum but also by general facial rates. The ideal nasal tip projection at the nasal tip is between 18 mm and 22 mm. Excessive projection can lead to an exaggerated front of the nose tip and an upward opening of the upper lip. Rotation of the nasal tip shows in profile view how the nose tip has been raised or lowered. 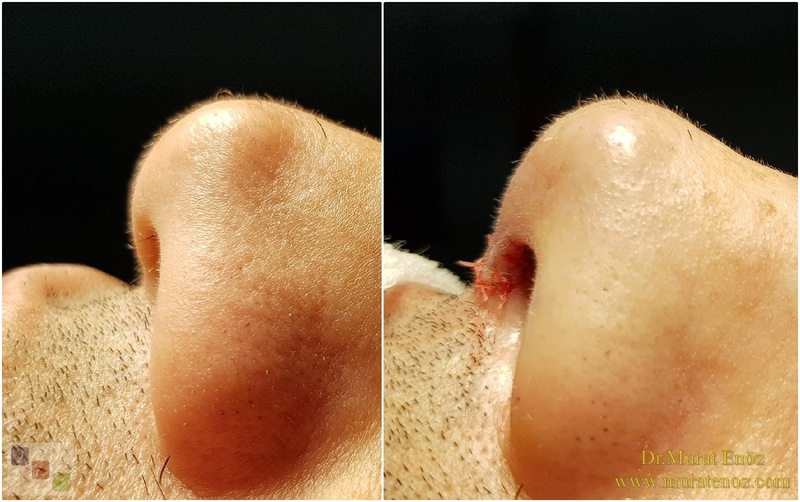 There are many surgical maneuvers that can be used to change the nose rotation, as well as to modify both the nasolabial angle and the nasal tip projection. 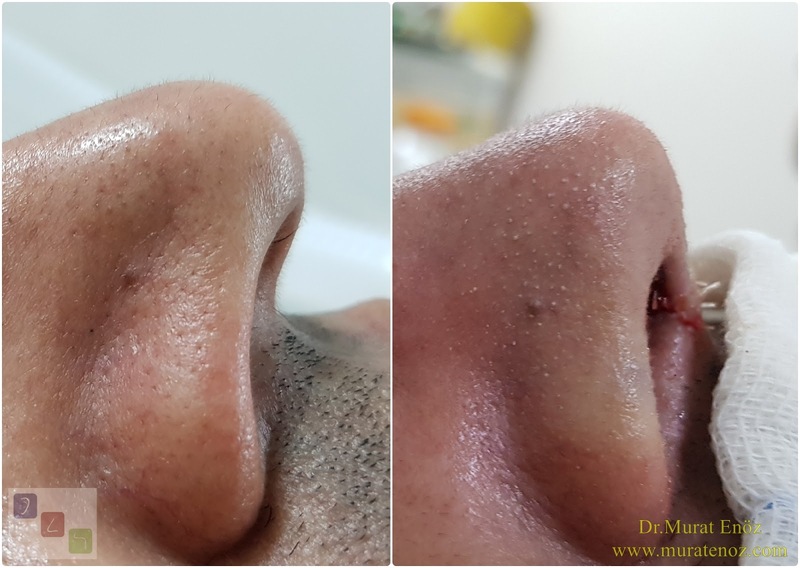 • During nose nose aesthetics surgery in men, usually as much as a thin and raised nose-tip structure in women, less thickened and thicker nose tip can be aimed at the emergence. 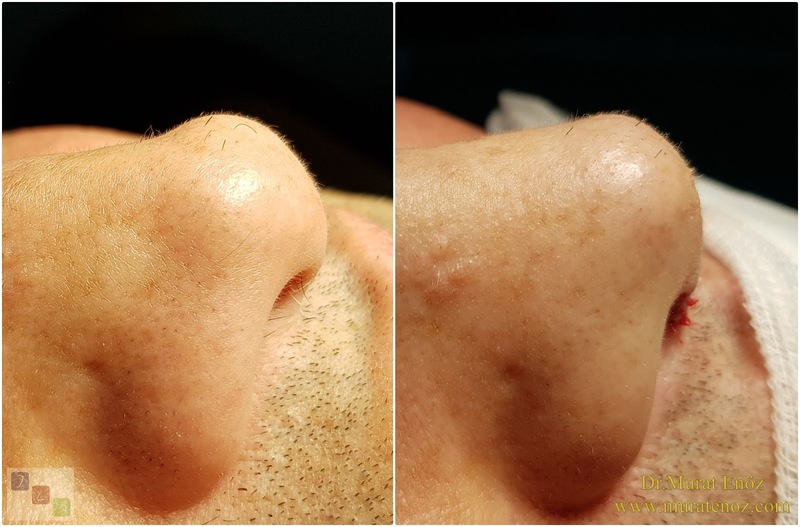 In general, the male nasal tip skin is thicker, and after the procedure, there is no nasal tip with multiple angular, light reflection points. Nasal aesthetic surgeries are personalized and has a separate surgical procedure for each patient. You can find photos and vieos at the below links. 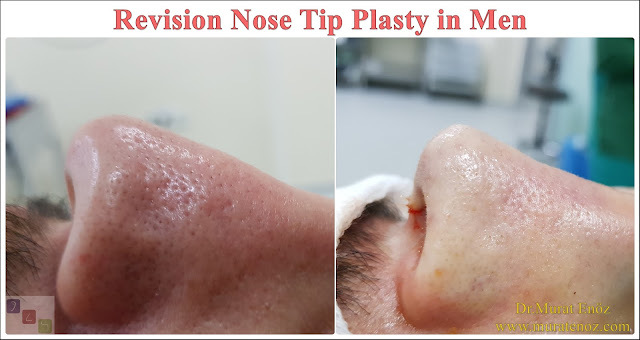 Sometimes revision nasal tip aesthetics operations may be required in patients with preoperative rhinoplasty operation or type plasty operation.